It's a new spin on an old classic! 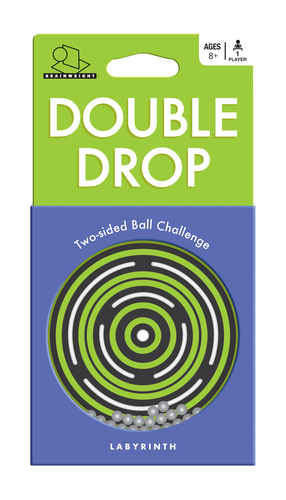 Tilt and swirl to sink the balls into the center hole. Then flip it over and play the opposite side. Double the challenge, double the fun! Item size 7.5" x 3.93" x 1"
Carton size 8.54" x 4.92" 8.94"